Finally, MNP has become a reality in India. MNP or Mobile Number portability let users to change mobile network without changing their number. So those who kept their connection only for the sake of the number can now switch to a different operator of their choice. In India, Airtel is the largest mobile provider, and they manage around 30% of connections out of 650 million. New GSM providers like Tata Docomo, Uninor, Videocon, were waiting for the MNP launch to take their subscriber base to the next level. Today MNP was launched in Haryana, and it will be available in other parts of the country by January 2011. BSNL and Tata Docomo has announced attractive offers and tariff plans for customers willing to switch to their network using MNP. The procedure, charges for MNP in India and offers from some operators are given below. The procedure for mobile number portability is the same for prepaid and postpaid connection in India. TRAI has stipulated 19RS/- as the maximum charge for changing a number to another provider. And once switched, you have to remain in that network for at least 90 days before making a move to another network. Now for changing a mobile number to a new network using MNP, send PORT ” Your mobile number without quotes ” to 1900. Then you will get an SMS response with a Unique Porting Code from your existing carrier. And this code has to be submitted with your new connection application. The maximum time allowed for the service providers to make the transition is 7 days from the date of application. Existing offers and balance amount in a prepaid number will not be carried to the new network. Also before applying for MNP, users should clear all their exiting bills with the current provider. Tata Docomo: Tata Docomo is offering 100MB free 3G data for 6 months, and 1p/6sec on-net calls with all new connections taken under MNP. Check prepaid offers here. Check Postpaid offers here. BSNL : Free MNP switching without any charges, unlimited GPRS for the first month, 100/- RS worth free talk time are the latest offers from BSNL. We will add MNP offers from other companies as soon as they are available. Very good news, Thanks for publishing the same. Its a good thing to change the network without changing the mobile no but there s an prob. in this were as already there are many suffering from wrong call strangers,this might be another chance for them. So that there no couldnot be identified as if the network. Any how its too good were as many customers r complaining on the service providers for they charging more amount without reasons. This will be a useful thing for them. this is the best thing that TRAI could do for the customers…i was desperately waiting for this service to be launched…i kept my number just for the sake of my number…m damn pissed with my service provider company…i disparately want to get it changed…. thnks for publishing this valuable information..! I’m waiting for number portability! I’ll switch to Uninor, heard it’s got great plans, value for money! and so many people agree..
if i have a gold number then will my current service provider will allow me to switch? 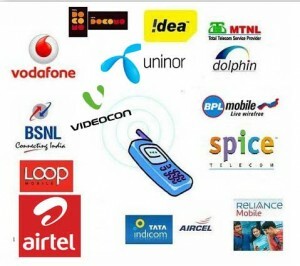 Can I change service provider of my E-top SIM to any other service provider. It is also having e-top balance. Will u plz send me the whole procedure of mobile no. portibility and also from where i get the form for my new network operator,i want switch from reliance gsm to bsnl. mnp is really a good service, which will release us from the cheaters hand. Airtel is an exsample of cheaters. they hiding their charges from consumer. whether MNP is a subscriber service? plz publish offers from other service providers like idea, reliance etc. If posible plz mail me the offers. Can you please assest me the procedure of MNP from the begining to end process..And is there any 3rd party is involved in this process? if yes then what the 3rd party does exactly? and how many days are required to change the network? Please reply me as soon as possible..